This product was prepared from monospecific antiserum by immunoaffinity chromatography using Mouse IgG coupled to agarose beads. Many of our customers have reported seeing brown precipitates in the vials. The brown precipitates are very common with HRP conjugated antibodies; we suggest vortexing the vial and using this antibody as normal. Our customer’s feedback says the antibody worked great. If in case the antibody fails to give results then please contact our Scientific Support team for assistance. Our Abpromise guarantee covers the use of ab6728 in the following tested applications. Immunohistochemistry (Formalin/PFA-fixed paraffin-embedded sections) - Rabbit Anti-Mouse IgG H&L (HRP) (ab6728)Gao et al PLoS One. 2016 Apr 28;11(4):e0154419. doi: 10.1371/journal.pone.0154419. eCollection 2016. Fig2. Distribution, expression and correlation of IL-22 cells with liver fibrosis in the liver. Immunohistochemistry double staining identities IL-22 cells were produced by CD4 cells in liver tissue (Panel B). Black arrows indicate double-positive cells. Paraffin-embedded, formalin-fixed human liver tissues were incubated with anti-IL-22 (ab18499) or α-SMA antibody (ab7817) overnight at 4°C followed by heat mediated antigen retrieval with sodium citrate buffer (pH 6.0, 0.1 mol/L) for 20mins and blocking endogenous peroxidase activity with 0.3% H2O2. Revelation of primary antibody was carried out using horseradish peroxidase (HRP)-conjugated rabbit polyclonal anti-mouse (ab6728), secondary antibody followed by diamino-benzidine (DAB) and haematoxylin coloration. Double staining was performed with 3-amino-9-ethyl-carbazole (red color) for IL-22 and BCIP/ NBT (indigo color) for CD4. Positively stained cells were counted at high-power field (hpf, ×400) according to described protocols. ab6728 was used at dilution 1/500 with the primary antibody ab3089 in IHC-Fr (PFA perfusion). See the review on ab3089. 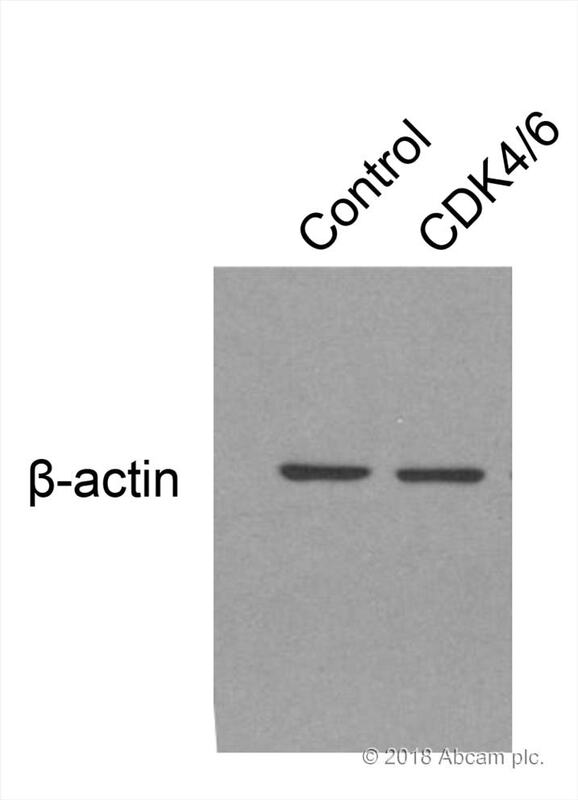 ab6728 was used at dilution 1/2000 with the primary antibody ab72009 in WB. See the review on ab72009. ab6728 was used at dilution 1/200 with the primary antibody ab81785 in IHC-P. See the review on ab81785. 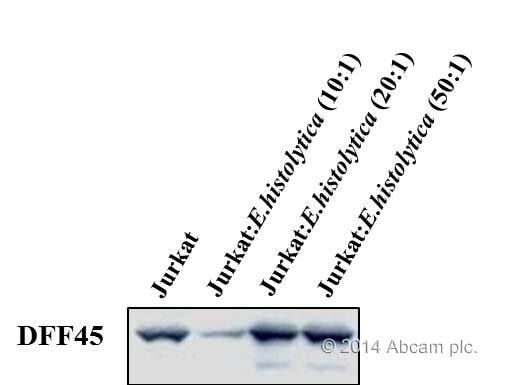 ab6728 was used at dilution 1/1000 with the primary antibody ab11038 in ELISA. See the review on ab11038. The dilution used for this secondary antibody was 1/20000 and we obtained intesnse specific bands even at very short incubation times. It works very well with phosphorylated proteins which sometimes are harder to detect (in these cases we use 1/10000 dilution or 1/5000). Western blot image of actin bands. HCT116 cells transfected with non-targeting siRNA (lane #1) or CDK4/6 siRNA (lane #2). 20 μg of micro tubular protein from SH-SY5y cells were used to detect B-3-Tubulin (Primary antibody - 1:500 dilution overnight, Secondary antibody (ab6728 - 1: 2000 dilution for 1h). I used this antibody, when I perform WB. This antibody is very sensitive. Dilution concentration that I used is 1/2000 in TBST(5% BSA) for 1hour. Our customer purchased ab6728 when we had promotion last December and opened and used recently. It showed high background so the customer tried several times but failed to optimize the condition. 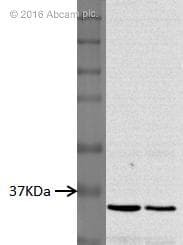 So, the customer tried other brand’s(GenDEPOT) secondary antibody and finally, he got good results. I have attached file and you can see the data. 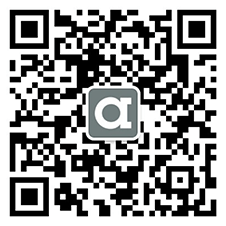 I explained about abpromise but the customer would like to ask your opinion and recommendation about his data. Thank you for your email. I am sorry to hear that customer have been experiencing problems with this antibody. It is true that the antibody is out of guarantee period so I am sorry we cannot provide replacement products; we can only provde the troubleshooting suggestions. If however this customer is your loyal customer then you can certainly offer them incentives for keeping them on board. I hope this information will be helpful. SHould you have any question please do not hesitate to contact me. ecd a problem with our product, which including mouse anti His Tag (4D11) cat no. AB5000 (lot GR44936-1) and AB6728 (Lot GR15565-6) and wants to claim this item under the abpromise guarantee. Her detailed information about her condition using to detect the protein is in the attached file. However, I’m not sure if it’s possible to help her to optimize the reaction and get a better result. Because her comment is that primary antibody cannot bind to her target protein at all. It would be my appreciate if you are able to help me to solve her problem? Thank you for contacting us. I am sorry to hear these antibodies are not providing satisfactory results. The details provided will enable us to investigate this case and will provide us with vital information for monitoring product quality. I appreciate the time you have spent in the laboratory and understand your concerns. It is regrettable the results have not been successful. 1) About the secondary antibody ab6728: as indicated on the datasheet, many of our customers have reported seeing brown precipitates in the vials. The brown precipitates are very common with HRP conjugated antibodies; we suggest vortexing the vial and using this antibody as normal. However, I would be pleased to replace, if you wish, this antibody with an alternative catalog reference : ab97046, www.abcam.com/ab97046. 2) About the anti-His tag ab5000: to our knowledge this antibody has never been tested for one hour incubation only but overnight at 4ºC. Some antibodies bind better to their target at 4ºC, some other at room temperature. I think it would be worth trying an overnight incubation at 4ºC for this antibody. The blocking solution should not be problem, this antibody works fine in milk as well as in BSA. Please let me know about the results after an overnight incubation at 4ºC. If the antibody is still not working I will be pleased to offer a replacement or a credit note. Thank you for your cooperation. I look forward to hearing from you with your results using ab5000 and with details of how you would like to proceed with ab6728. Kindly suggest the exact concentration of Rabbit polyclonal Secondary Antibody to Mouse IgG - H+L (HRP) (ab6728) since on it's datasheet the concentration is mentioned as 1 mg at 2mg/ml . I am pleased to help answer your question. I can confirm that '1 mg at 2mg/ml' means that the vial contains 1 mg of antibody at a concentration of 2 mg.ml. The concentration is 2 mg/ml. (Therefore the vial contains 500 ul). this time, you answered spin down it and use only supernatant. Let me know which method is right. I can confirm that for the HRP conjugated antibodies the approach that Irecommended is the correct one. Spining the vial down will prevent free HRP to bind to un-specifically to samples and therefore avoid increased background. If the antibody is not purified and therefore also not conjugated then we would recommend gentle vortexing. This could be whole antiserum for example. In this casethe antibody does contain proteins and other solutes it would not be abnormal to see a little cloudiness or precipitation, especially after being stored at a low temperature and/or for a long period of time. Most of the time bringing the antibody up to room temperature, mixing it well and then diluting it to a working concentration will help incorporate any protein aggregates and precipitation. I hope this information will explain the different suggestions we gave and I apologise for the confusion.